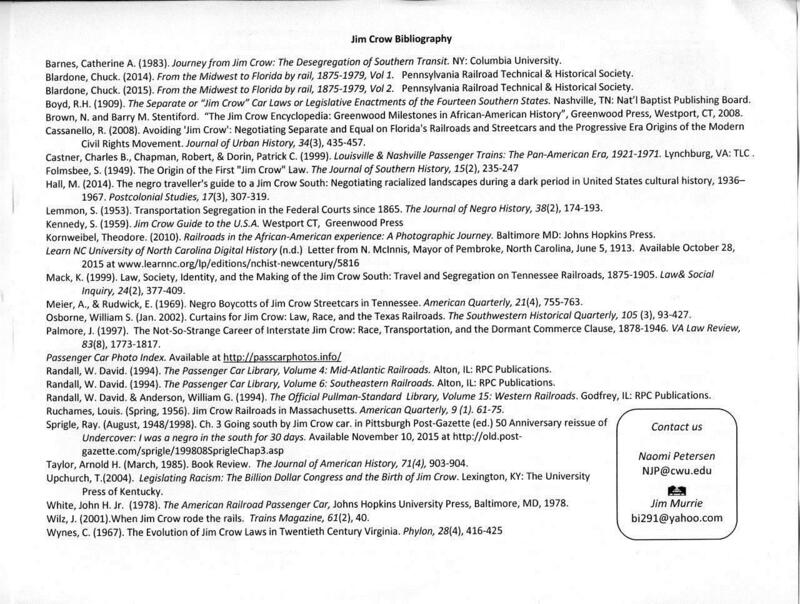 Attached is the outline of a presentation made at the RPM meeting at Cocoa Beach in 2016 by two excellent railroad historians, Noomi Peterson and Jim Murrie. Their contact information is shown on Page 2. This was an excellent presentation which is well documented and professionally done. They presented the FACTS with no apparent axe to grind. Perhaps someone in this group can forward this to a contact at the Smithsonian for their use. I think Ms. Peterson and Mr. Murrie would be very pleased to help get the facts to anyone who might inquire. 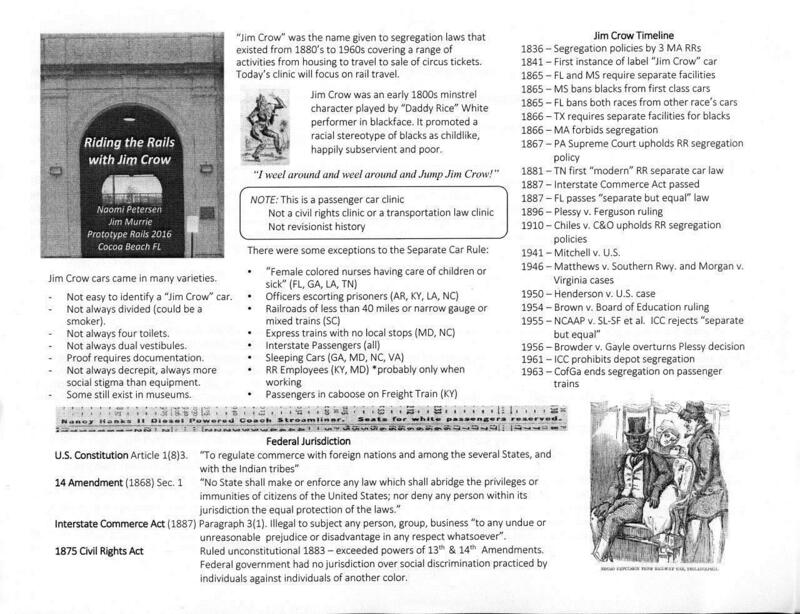 Note that the Central of Georgia was the first railroad to end segregation on passenger trains. Join main@SouthernRailway.groups.io to automatically receive all group messages. Are you sure you wish to delete this message from the message archives of main@SouthernRailway.groups.io? This cannot be undone.